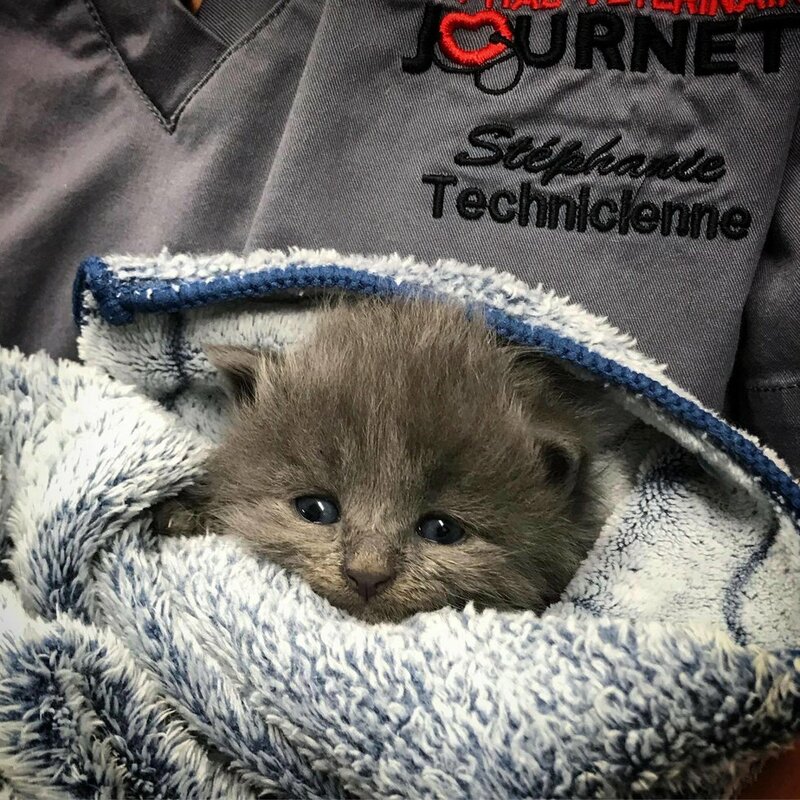 A 2-week-old kitten was found wandering the streets of Montréal, Canada, without a mother in sight. She was taken to the shelter, where her fate became uncertain. 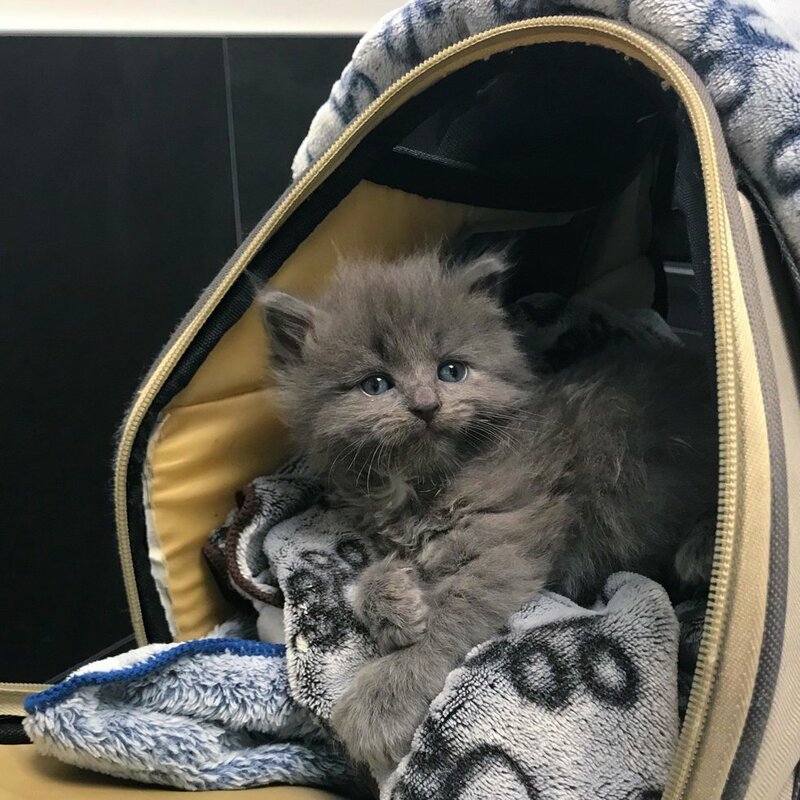 The shelter didn't have the resources to bottle feed the kitten so they reached out to Chatons Orphelins Montréal and asked if they could take her in. Volunteers of the rescue immediately offered to help. 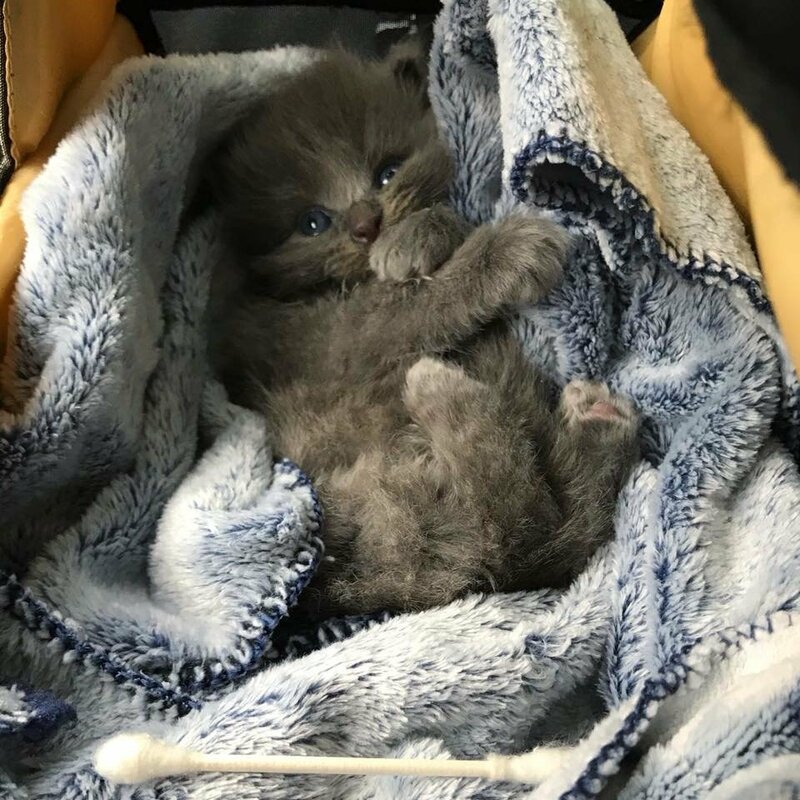 They rescued the kitten and named her Virgule. 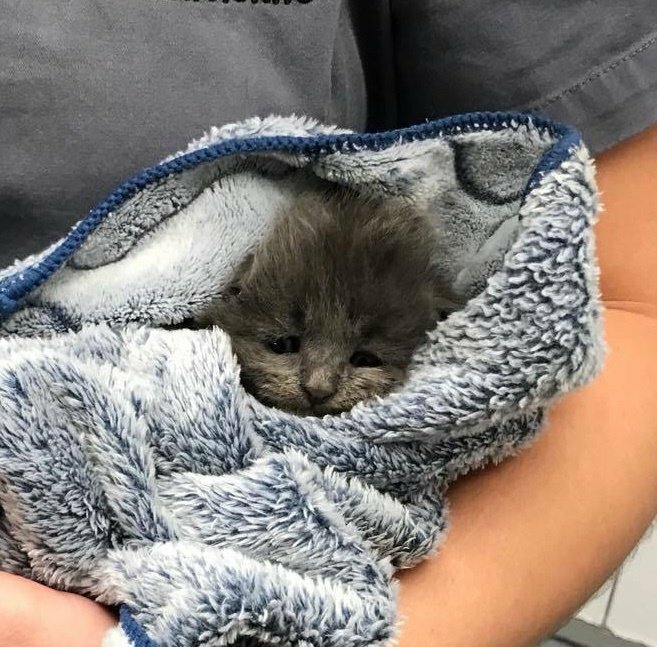 When the kitty arrived, she only weighed 250 grams, was covered in fleas and had a pair of very sad eyes. 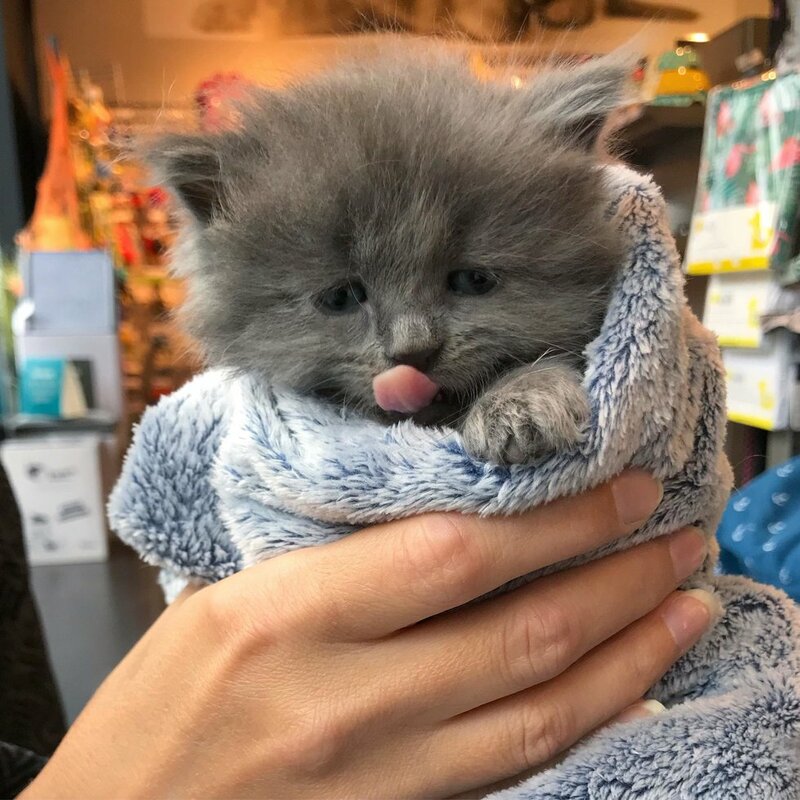 She was very hungry and started eating right away when she was given food, and would meow nonstop until she was held. "At this weight and without a mom, she wouldn't have made it much longer on her own." 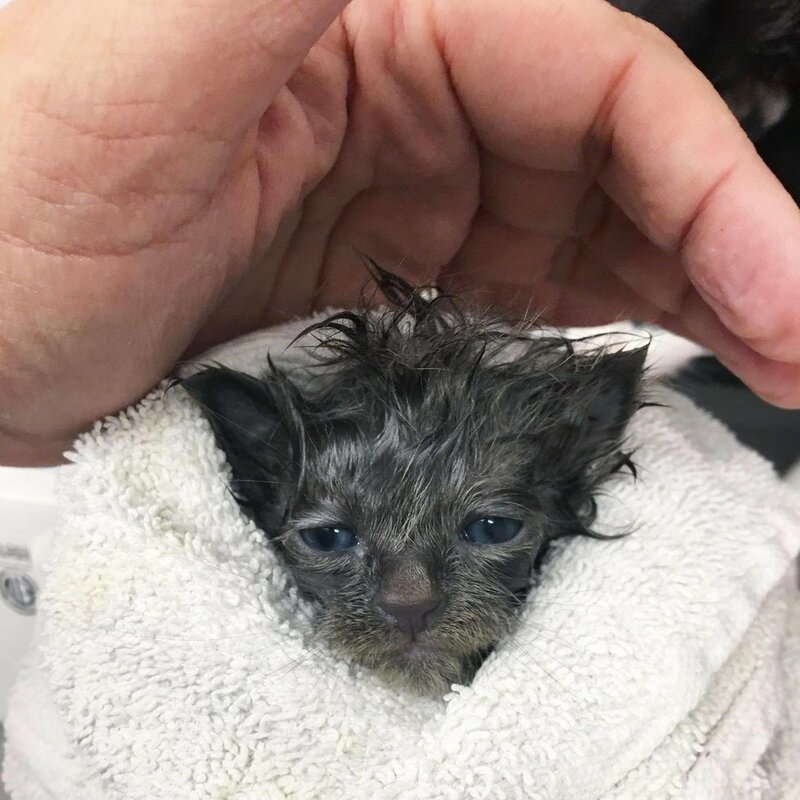 After several baths to remove all the pesky fleas, the tiny kitten felt much better and even started to purr. 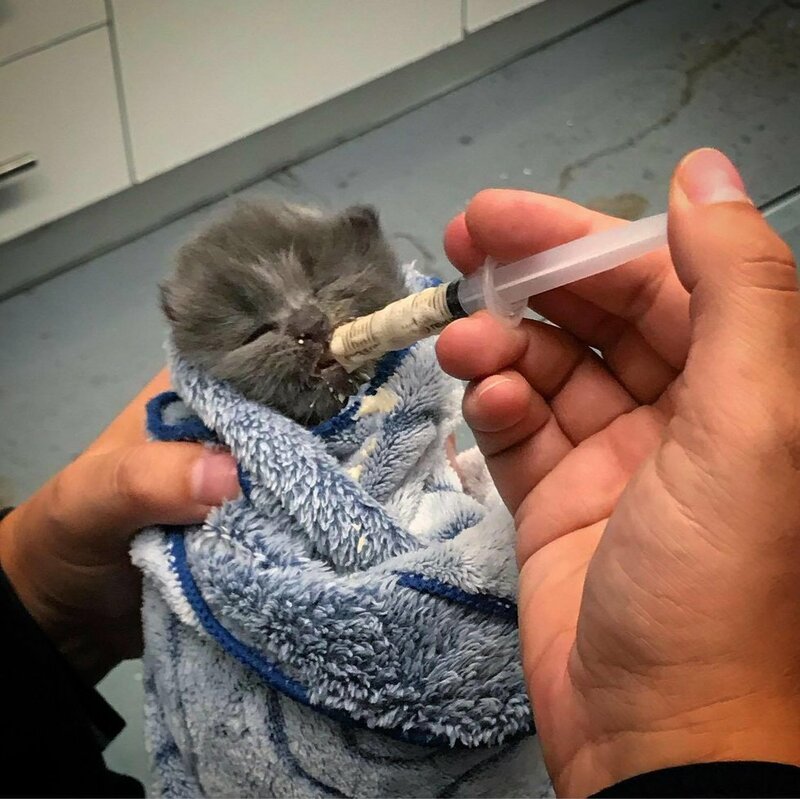 The tiny feline was fed every two hours with a syringe. She didn't want to be alone and would cry for attention and pets. After each meal, she snuggled up to her caretaker and purred herself to sleep. In less than a week, the kitten has put on 100 grams. Her baby teeth are starting to come out, and the sweet bundle of fluff has begun to learn to groom herself. "Baby Virgule is very talkative. She wants someone to be present and will cry until she gets her way," the rescue said. 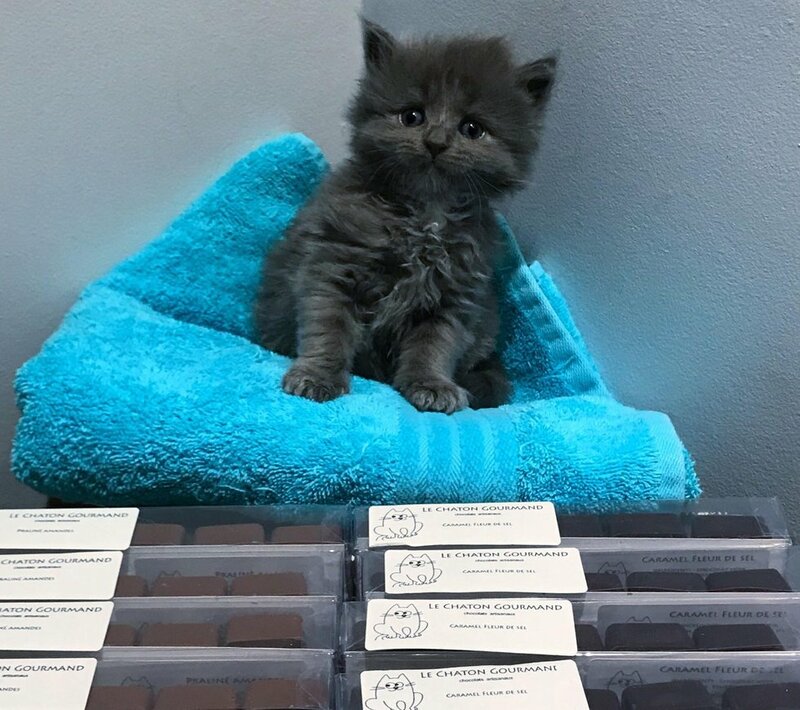 "She is never alone and only eats when her foster mom is around. 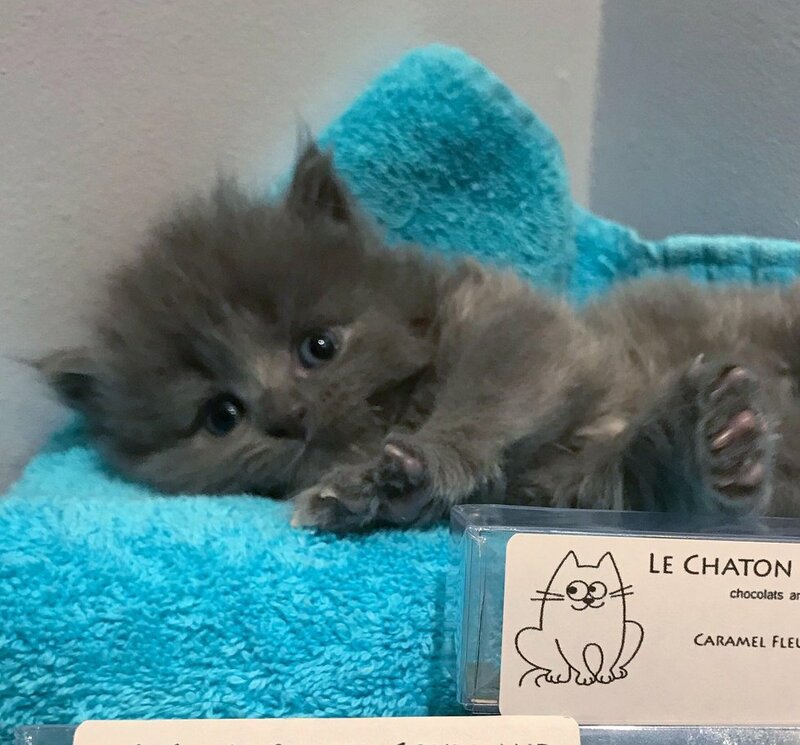 She is a tiny baby with a full belly." The sweet kitty has two dedicated caretakers to feed and care for her around the clock. "She loves it when she gets her belly rubbed." 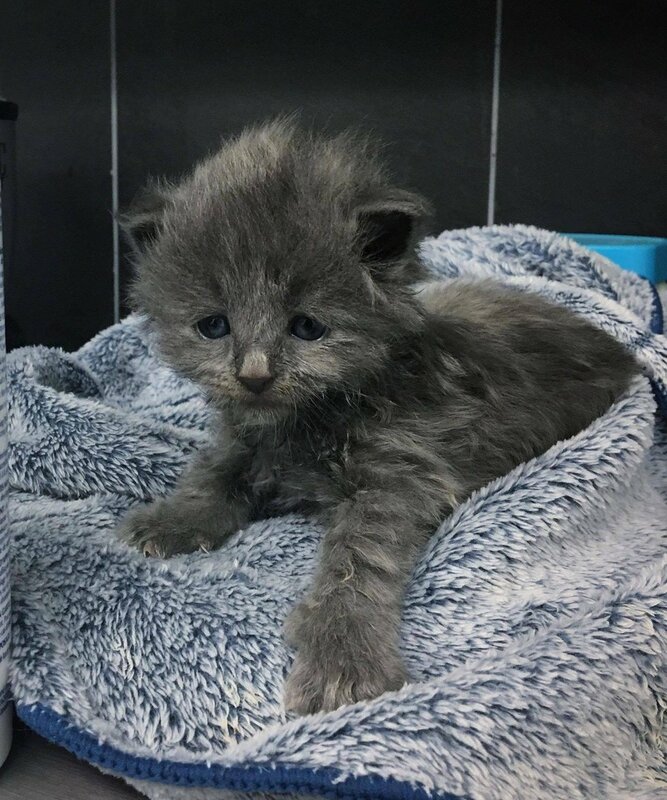 The kitty who was in rough shape and had the saddest eyes, has really come around. She is now happy, healthy and quite the chatterbox! What a difference one week can make!